In 2017, SV@Home led a diverse coalition of housers in support of a housing-rich North Bayshore Precise Plan and we all succeeded! The City of Mountain View approved a plan that calls for 9,850 new homes, of which 20% must be affordable. But plans are only paper until they are actually implemented and we still need your help ensuring that these homes get built. SV@Home and our coalition partners want to see the housing and affordable housing planned for in North Bayshore come to fruition. This is only possible if the City Council ensures that the decisions it takes on allocating remaining office development rights are explicitly tied to whether they will result in Mountain View reaching the Precise Plan’s housing goals. 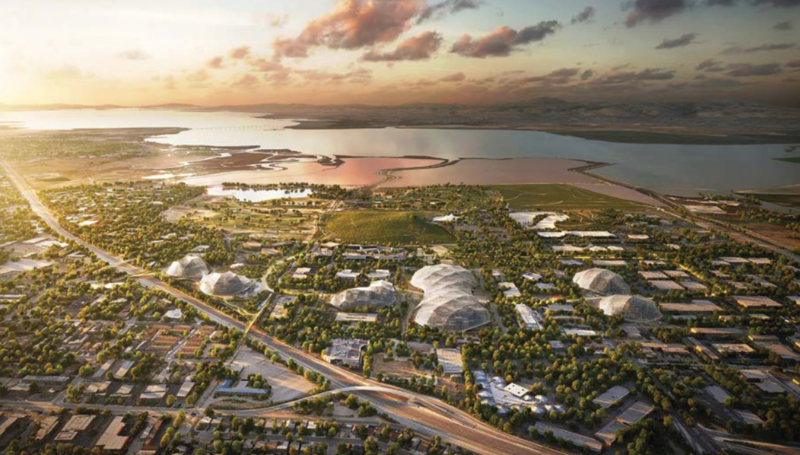 This is not about choosing one developer or landowner over another but about whether Mountain View will take advantage of this opportunity to create a housing-rich North Bayshore, built on complete neighborhoods and with housing options for people of all incomes and abilities. We’re calling on the City Council to uphold the award-winning North Bayshore Precise Plan and not delay in approving the development plan or plans that will achieve its housing goals. We believe it is the City’s responsibility to make its decisions on office allocation and whether to approve specific development plans based on whether they will deliver the housing and complete neighborhoods that so many people worked so hard to make possible.